This article is meant to assist you with Aging Reports. This is part of the optional add-on tool, called “Advanced Financial Management”. If you are interested in the extendedReach Advanced Financial Management tool, please contact your Agency Administrator, or extendedReach sales. 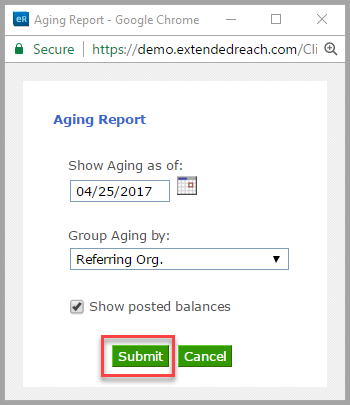 Once the Advanced Financial Management functionality is enabled, Aging Reports will be available. 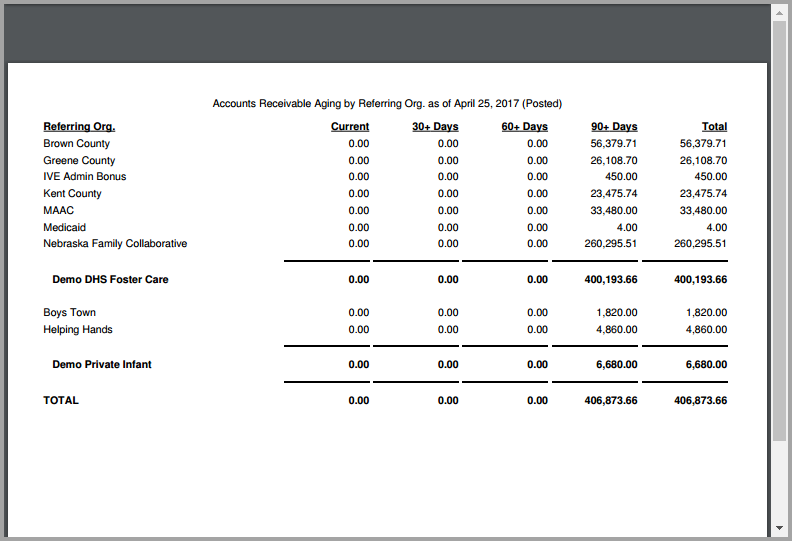 Aging Reports are reports of unpaid amounts sorted into different columns determined by the number of days the amount is past due. You must be an Agency Administrator to access “Administration” on the left side of your Workspace. 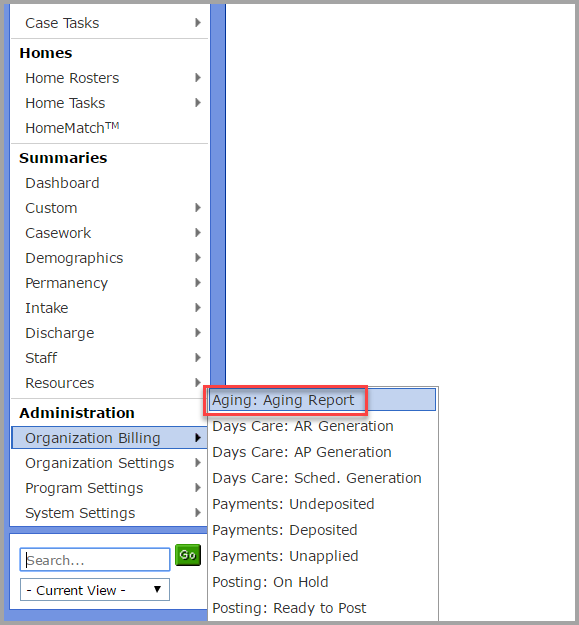 Go to “Organization Billing”, and click on “Aging Reports”. Aging Reports can be used by breaking down data in a variety of ways. Option 1. 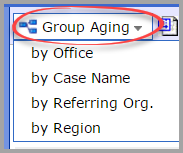 Groups: Hover over “Group Aging”, and select a category from the drop-down menu. The box below will open. Complete the fields and click on “Submit”. This is the document that will be generated, based on your field selections.